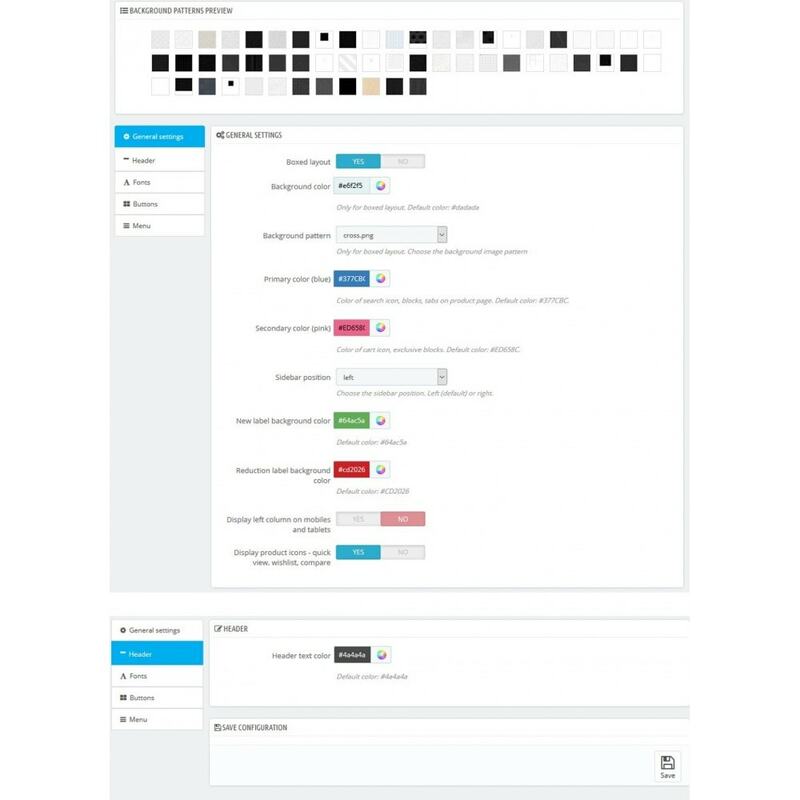 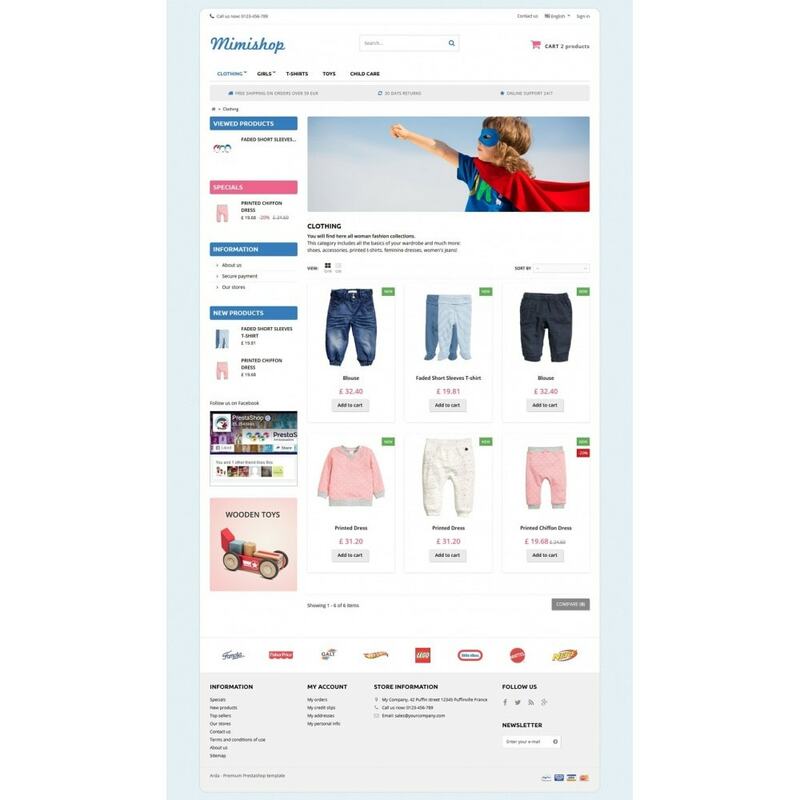 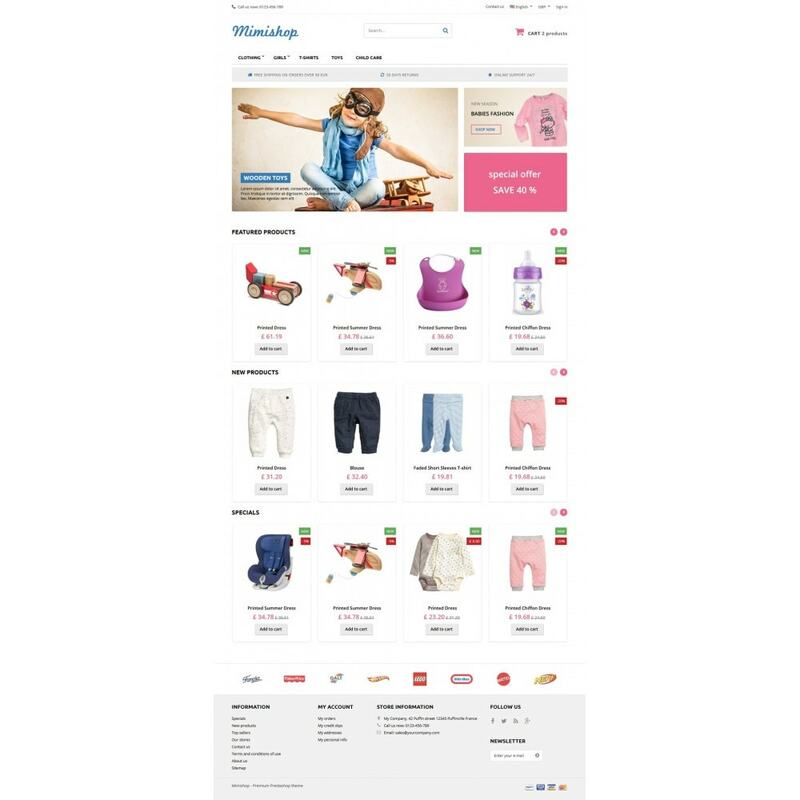 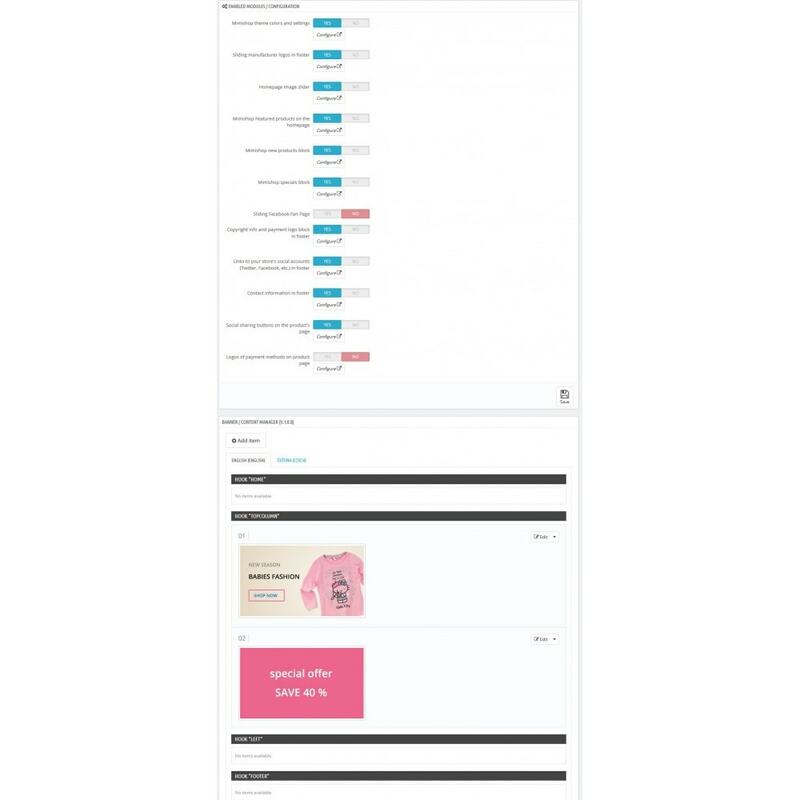 Mimishop is 2 column theme with many customizable options, allowing to easily change colors of most important shop elements. 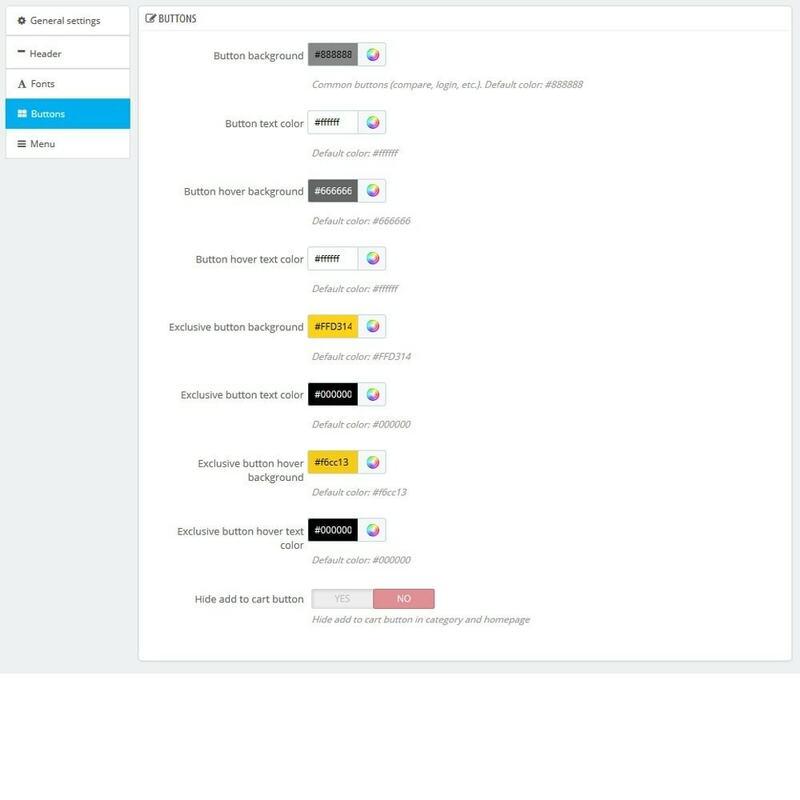 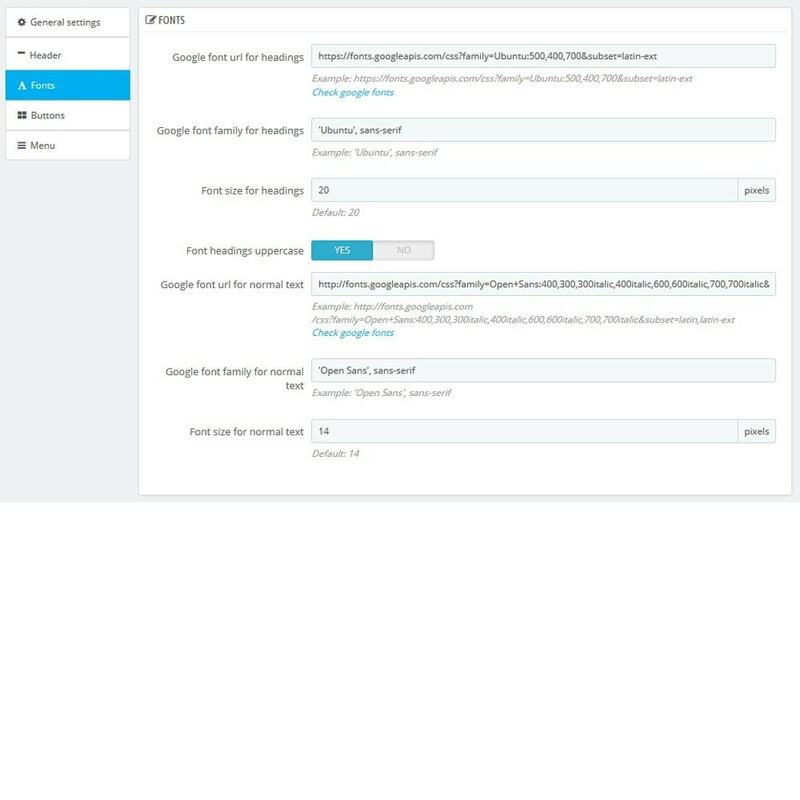 Style switcher module - setup any color of buttons, header, menu elements, labels, google fonts, styling of menu (dropdown or megamenu) and more. 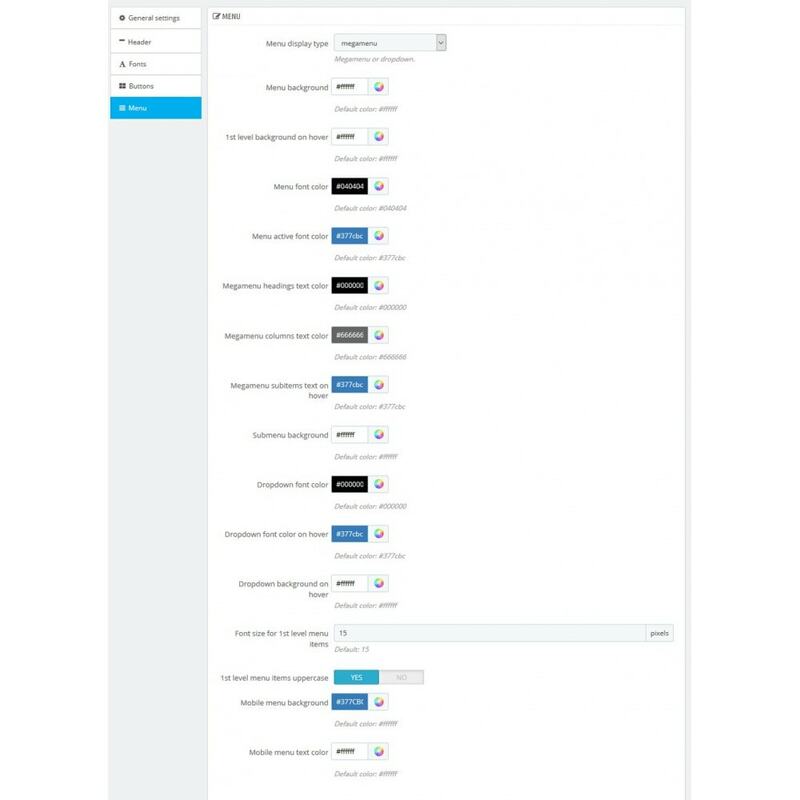 More then 45 options only in this module! 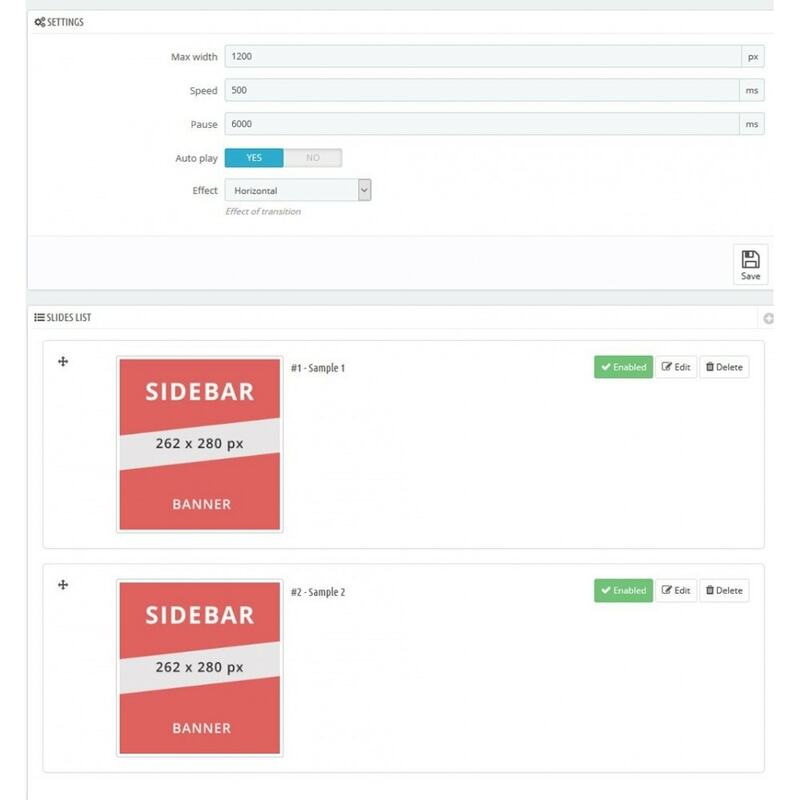 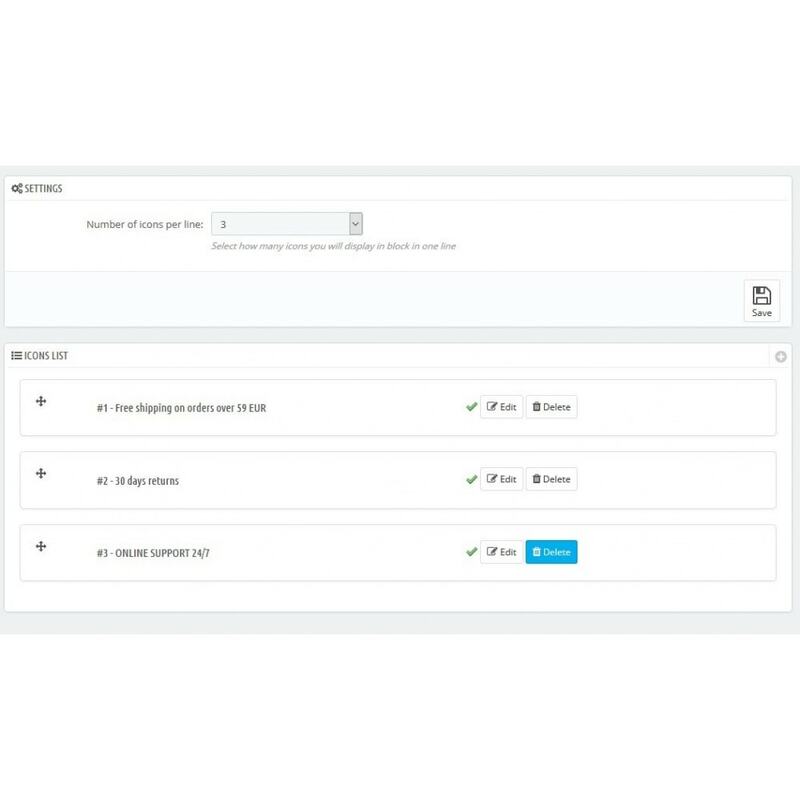 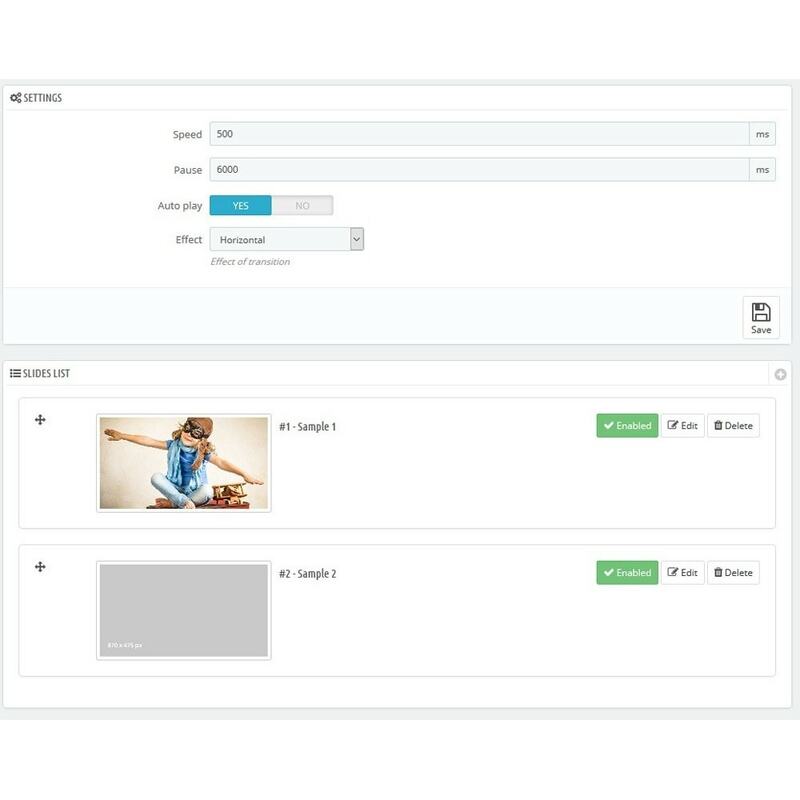 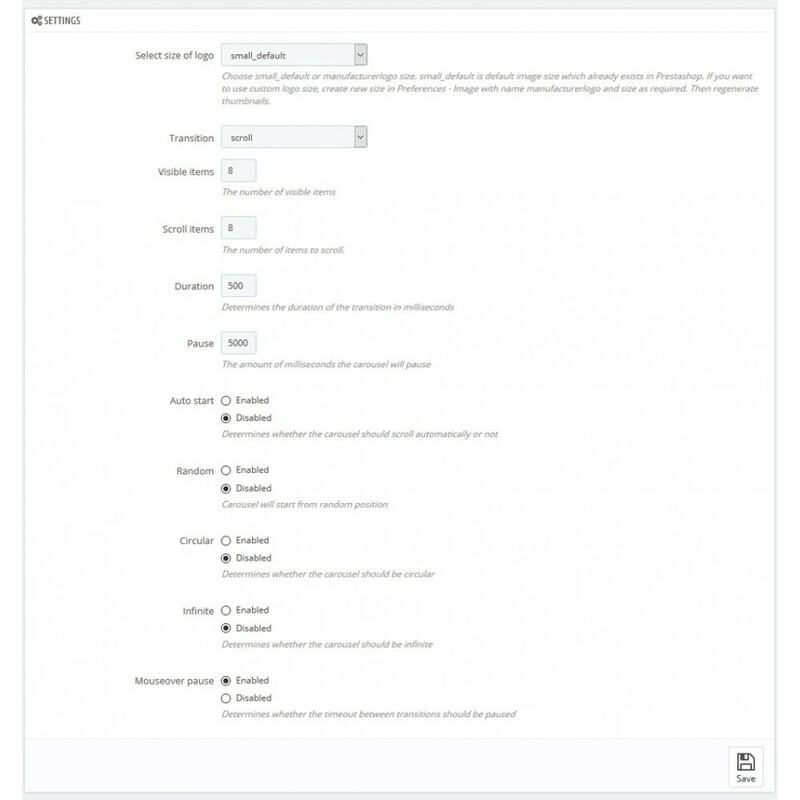 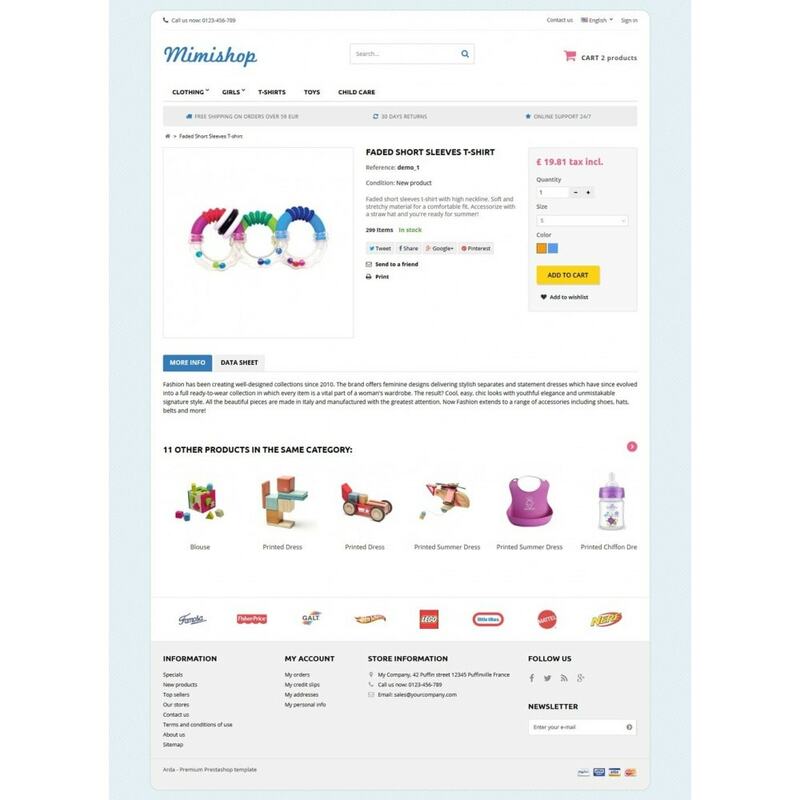 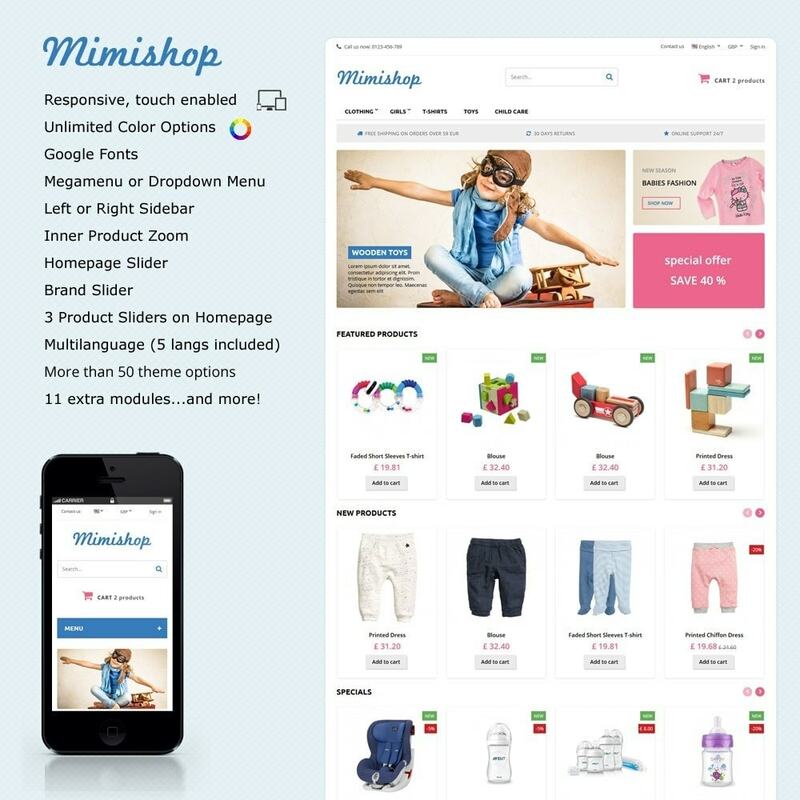 Mimishop options panel: easily access all theme related modules and add banners to homepage.